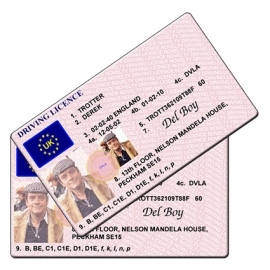 Give your friends a laugh down the pub with this novelty driving licence in the name of Rodney Trotter. 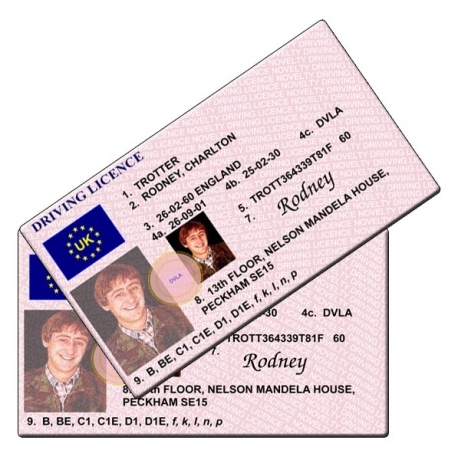 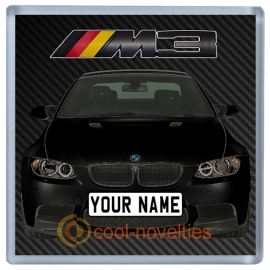 Uniquely designed and produced by us, this item is produced to give the look of the real thing; complete with photo, address (Mandela House), and all vehicle codes Rodney's entitled to drive. 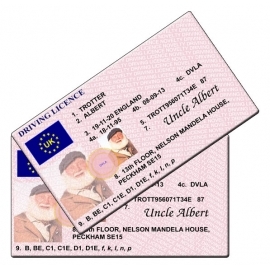 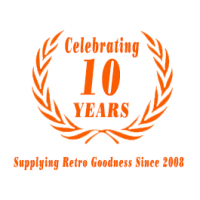 Colour laser printed and then hot laminated with 250GSM laminate for a durable and quality finish. 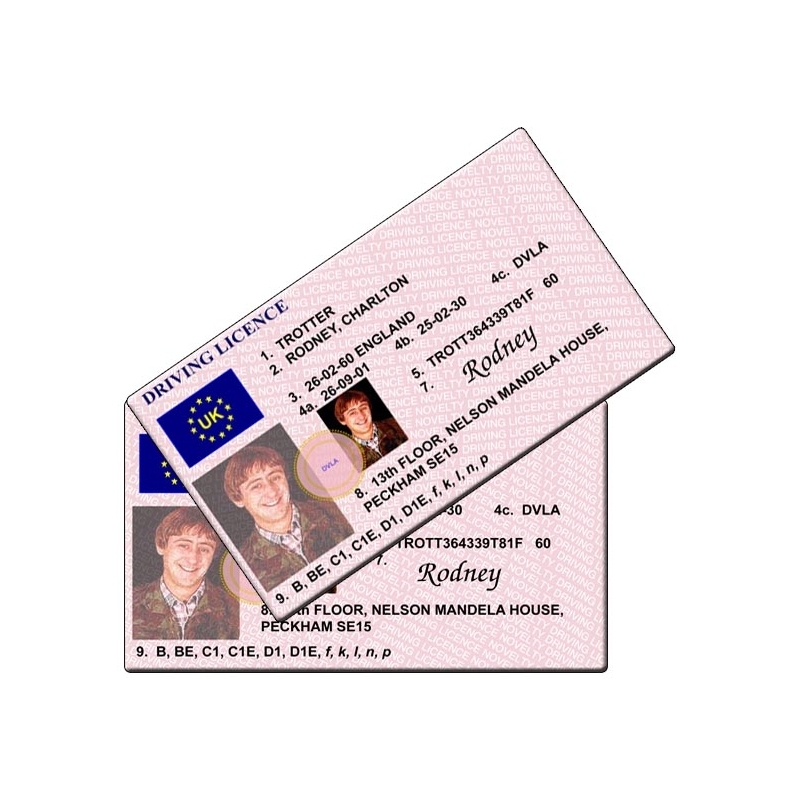 The licence is printed on one side.